Bathrooms can often gather large amounts clutter, be it that extra shower gel the you never thought you had, your child’s bath toys or the deodorant set you still have from last christmas. Bathroom furniture is a great way to store those bathroom necisities that you just cant go without. It is also a great way to utilise the space in a bathroom, space is becoming more and more sought after in todays modern houses, whether its the family bathroom or an en-suite space is not something that bathrooms are generally blessed with. 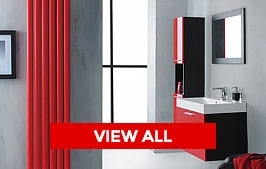 Good bathroom furniture will compliment the bathroom items and fittings that surround it, helping to add practicality as well as a splash of colour and eye-catching design to your room. 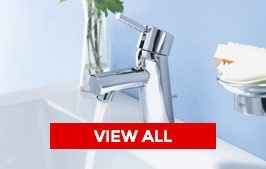 Here at Tap N Shower we understand how difficult it can be to chose the right furniture for your bathroom as well as the right bathroom suite to go with it. That is why we have a team of friendly trained staff ready to advise and help you with your purchase. This type of furniture is extremely popular largely due to its practicality and ease of installation. This type of furniture is usually supplied fully assembled, it also allows for more of a choice as to where it can be fitted. This is great as it can means this type of furniture is easier to move should you wish to rearrange your bathroom (pipework allowing). 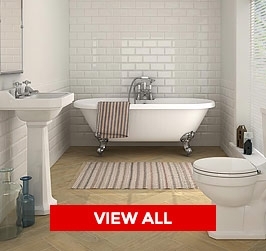 Even the use of a single piece of free standing furniture can totally transfer your bathroom. Fitted furniture is great for use in smaller spaces such as cloakrooms and en-suites, it can also work well in the family bathroom too. 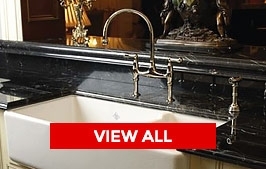 Fitted furniture is extremely popular largely due to its ability to create something from nothing, it works by choosing individual units and then joining them together, there are plinths to help hide the feet and the underneath of the units as well as a range of different colour and textured worktops which can really make a statement in a bathroom. Wall hung furniture is also great for use in smaller bathrooms, en-suites and cloakrooms. 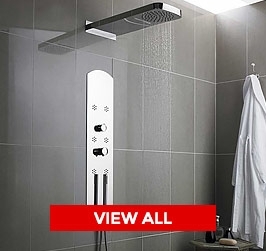 Wall hung furniture helps to give a more spacious feel to a bathroom, largely created by the units being fixed to the walls as opposed to taking up floor space. when done properly wall hung furniture can help to erase the claustrophobic feel that you can sometimes get in smaller bathrooms, making it much easier for you and you family to relax without feeling cramped and boxed in. The above help to make this type of furniture amongst the most popular.